Uploading PDF files is not a task that is nearly as common. This is why it is pretty common for an individual to ask the following question: Where can I update my PDF file for free? Unfortunately, PDF files can get pretty large pretty fast and they are not always the easiest thing in the world to send to someone else. For example, uploading a PDF file to an email may be free, but most email clients have a file size limit that will not allow you to complete the upload. Fortunately, with the right web service any Internet user (no matter how inexperienced) can upload PDF file online with Mac with ease. Launch the software and then click the "Open File" button to import your PDF to the program from local computer. After the file is fully loaded, you can then edit or annotate it if necessary. Usually, before uploading PDF to internet, you need to do some editing for your PDFs. 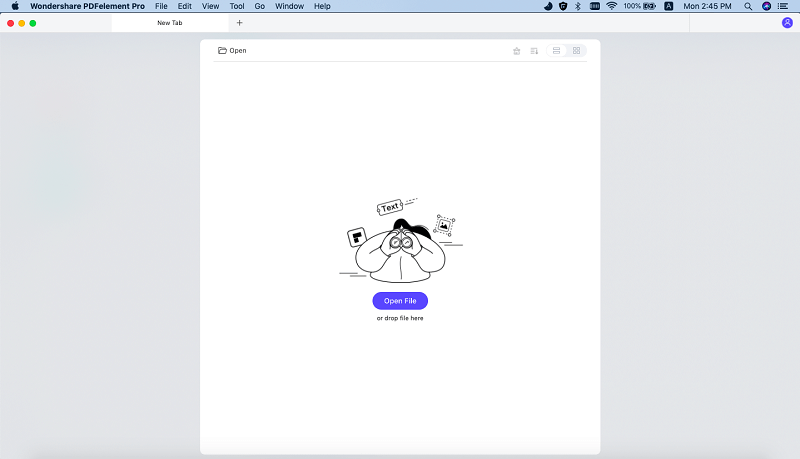 PDFelement Pro for Mac is a good choice for PDF edition, which allows you to edit PDFs on Mac including cropping PDF Mac, rotating PDF Mac, watermarking a PDF on Mac, and many more. To do this, go to the "File" menu on the top header bar and then select "Dropbox" from the submenu. Then upload your PDF by following the on screen instruction. PDFelement ProPDFelement Pro is a powerful for creating, editing, converting, compressing and sharing PDF. With this all-in-one software, you can edit and annotate PDFs as you want, create and convert between PDF and other popular file formats. What's more, you can directly upload and share your edited PDF via email or Dropbox from the application. Directly upload PDF to Dropbox, Google Drive, Evernote and Email. Edit PDF and add annotation, markup and comments to PDF. Convert and create PDF files to and from many formats. Fill out PDF forms and create PDF form from tempaltes. Batch processing in PDf conversion, watermark, data extraction. OCR PDF to edit and convert scanned PDF files. 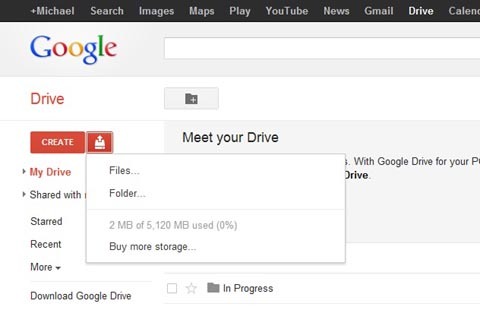 If you have a Gmail account, you can just use the Google Drive to upload your PDF file. For an individual who is in a time crunch or not very great with figuring out how to upload things on the Internet, this is probably going to be your best option. Uploading a PDF file on the Google Drive is an easy task that anyone can accomplish. Once you log in to your Google account, you will be able to click "Drive" on the black navigation bar across the top of the page on Google. When you click the Upload button a window will pop up asking whether you want to upload a file or a folder. You can navigate through the files of your computer and find the PDF you want to upload to the Internet. Once you have completed that, the file will be uploaded onto your drive. Then, you just have to adjust the share settings so that anyone you give the link to view the PDF file. The third method for getting to upload your PDF files online is to use a hosting website to upload your PDF file on. If you do not have your own website, there are tons of free websites they will let you upload PDF files for free. Typically, the catch is that you do have to create an account with the website. Once you create an account, it can be extremely easy for you to upload a PDF file for free.